Privatisation revenues will allow increasing pensions. Prime Minister Volodymyr Groysman has announced plans to sell inefficient state-owned enterprises, which would enable Ukraine to attract additional investment and accelerate economic growth. "We have 3,500 state-owned enterprises in the country, which is absurd, because most of these enterprises are either inefficient or have turned into feeders for corrupt people," Groysman told a briefing in the city of Zhytomyr on March 30. "The enterprises that are not of national importance must be auctioned off because they do not bring any benefits to Ukrainian people and economy. Their sale will provide an opportunity to attract investments into the economy and accelerate economic growth," the head of government went on. The result of these changes, he said, will be tangible for every Ukrainian, particularly the elderly, who will be able to count on better pensions. 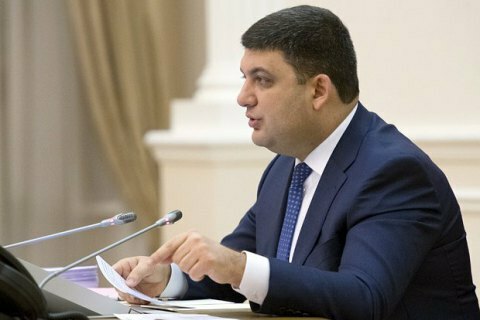 On 27 March, Groysman ordered a sweeping checkup of the condition of roads renovated after the winter season. Ex-MP seeks ambassadors' protection from "political persecution"